Like many, your home is your largest investment. That is why we take great pride in providing you with the best roofing services available in the area to protect it. In Kansas City, we have some of the most severe weather in the nation. From hail and wind storms to devastating tornados, our roofs are definitely put to the test. To take on the challenge, we only offer the best available roofing systems with the most skilled installers. Our fully trained staff is second to none. We are constantly training and teaching our team members so you have the most knowledgeable people working on your roof. When choosing a contractor, go with one that has met some of the toughest standards in roofing excellence! Kansas City Roofing and Sheetmetal is certified by the nation’s largest manufacturers: GAF and Certainteed. Only a select few contractors meet the strict requirements in order to reach these certifications. 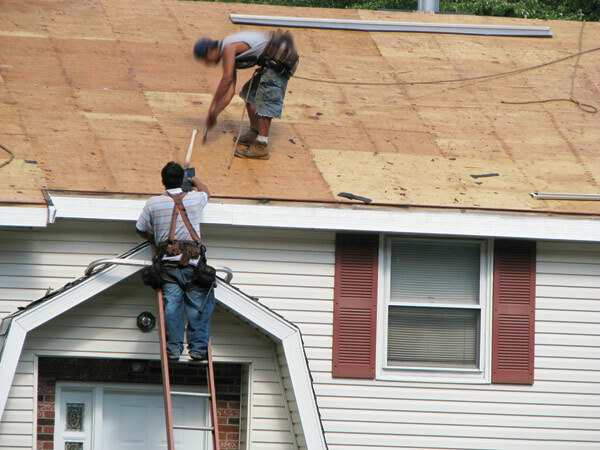 Like thousands of others, you will be glad you chose Kansas City Roofing and Sheetmetal. An excellent line of light weight and standard weight concrete tiles offer all three concrete tile profiles and many different colors and blends. Asphalt composition shingles have come a long way from the old days of the 3-tab roof. They now have composition shingles available that are affordable and look amazing. Gone are the old days of a thin flimsy composition roof. In are the new super thick laminate shingles that come with a level of durability that’s unparalleled. These new Laminates and Tri-Laminates are growing in popularity and we are installing more and more of them every year. The king at the top of the super thick laminate shingle is the Presidential line of shingle from Certainteed. It comes in two versions Presidential and Presidential TL. Thick and thicker. The Presidential line of shingles costs a fraction of the natural wood shakes, but the benefits don’t end there. Unlike wood, it won’t rot or decay, and offers excellent wind and fire resistance. Both of them have all the color variations you will need to compliment any color scheme you may need to match. If you’re the type who likes having the best of the best the Presidential TL is as good as it gets. As for dimensional composition shingles which are the majority of the roofing market we offer all the major brands as well as Certainteed Landmark, Elk Prestique Plus and High Definition, GAF Timberline and all of the Owens Corning shingles as well. For home owners looking to add distinction and character to their homes slate and slate looking roofing materials can do just that. A more expensive option than your basic concrete tiles or asphalt composition but with it you get the beauty of slate roof. Slate roofing has several draw backs. It is often very heavy, it is always very expensive, it will break if walked on, and because it is a natural stone it doesn’t have a warranty. With those negatives in mind we have been looking for a good slate alternative and we have one for you. For those of you who want a thick looking slate tile roof with trim pieces that wrap the edge of the roof this is the way to go. The heights and widths of these tiles are about the same as traditional “real slate”. Auburn tiles are made to be staggered and they come in light weight versions that don’t look too thin. They have a multitude of colors and factory designed color schemes that will accommodate the most discriminating home owner. If you are looking for a moderately priced slate looking roof that is time tested this is a great option to consider.